The law recognizes the importance of education and places a duty upon parents/guardians to assure that their child is attending school on a regular basis. The law places the responsibility of enforcing truancy laws upon the Juvenile Court. Children ages seven through eighteen, unless the child graduates from high school prior to his/her eighteenth birthday, are required by law to attend school with few exceptions. Students of any age who legally enroll in the Vernon Parish School System are subject to all federal, state, and parish policies and laws regarding attendance. A student is considered to be in attendance when he/she is physically present at a school site or is participating in an authorized school activity and is under the supervision of authorized personnel. A child is considered habitually absent or habitually tardy after the fifth unexcused absence or tardy. 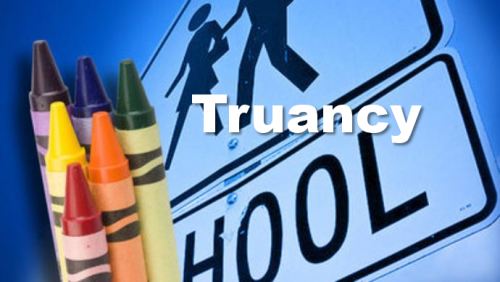 A habitually truant child can be found delinquent and subject to Truancy Court intervention. The law also holds parents/guardians accountable for their child's school attendance, and the Truancy Court may order sanctions against the parents/guardians who fail to send their child to school. Court orders may include student and/or parent counseling, required school bus ridership, surrendering of driver’s license, or driving permits, or hunting/fishing license, Saturday community service, and court fees. In cases of non-compliance, continued absences or occurrences of being tardy, or when interventions fail to correct the problem, violations may be referred to formal court where additional penalties may be imposed upon the parent/legal guardian and/or student. It is your responsibility to make your child's school attendance a priority. The goal is to get your child back into a learning environment that will enhance his/her chances for future success. Every instructional minute counts in the educational development of a student!!! The following file is Louisiana Revised Statute 17:221 in regards to school attendance; compulsory ages; duty of parents; excessive absences; consent to withdraw; condition for driving privileges. The following file is Louisiana Revised Statute 17:233 in regards to cases of habitual absence or tardiness referred to juvenile or family court; denial or suspension of driving privileges.